To assist and ensure that all individuals receive the support they need to be actively and fully involved in the community. 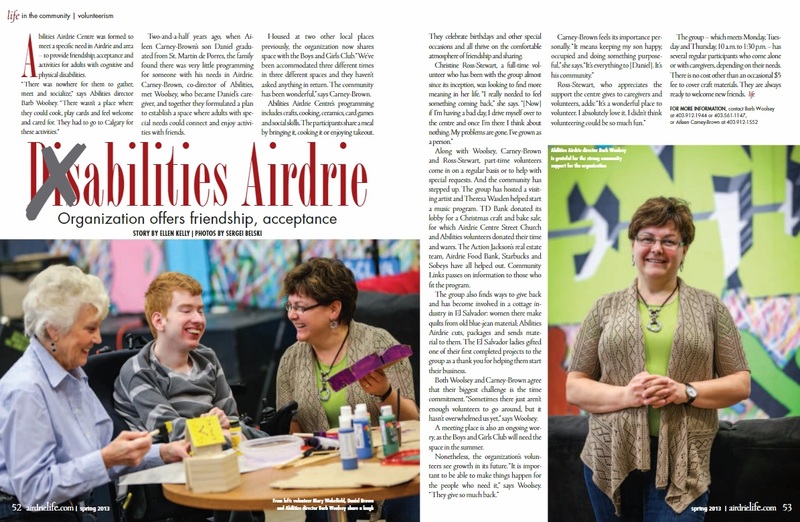 Airdrie Abilities Centre Society is committed to creating equal opportunities to support and demonstrate the strengths and abilities of people with special needs. that all people have basic needs that must be met. for who they are and acknowledging that all people have unique abilities. and teaching required daily living skills. and supporting individuals with skills development for minimum wage employment. and access to community-based opportunities, such as education, volunteering, and recreation. for those desiring to make a difference in our community.